Joseph William Rogers passed away on April 25, 2018. He was 96. 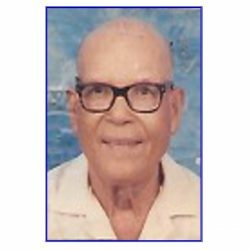 Popularly known as “Yankee“ throughout St. Martin and Anguilla for most of his life, he was a determined, reliable, and most helpful businessman. In fact, long after he was not as personally active in the day-to-day running of his businesses, his name continued to be identified with the quintessential self-made St. Martin business person. So much so that even people of the younger generations that had never met him had heard something of this name, Yankee, in connection with doing business in Marigot in particular or on our island in general. Joseph—who we will come to know much later as Yankee—was born in Anguilla on February 16, 1922, to Clemence Randolph Rogers, a ship’s captain, and Eunice Alberta Webster, who also hailed from Anguilla. His 11 brothers and sisters were born in Anguilla and St. Martin. At age 10, when Joseph came to St. Martin to stay by Miss “Flavy” Eights in Concordia, he didn’t just stay at the house; he became involved and helped her with errands and selling fruits. Between 1932 and 1944, Joseph sailed between Anguilla, St. Martin, St. Kitts and St. Thomas, finding work in construction and on docks. Some of his travels were actually made on the ship captained by his father. He also did some schooling in St. Kitts. In the 1940s, while working construction in St. Thomas, Joseph had an accident on a barge. He had to be shipped out immediately to a hospital in Puerto Rico. After being released from the hospital he returned to St. Martin, in 1944. He was 22. With the money he managed to save from construction work in St. Thomas and the compensation received because of the accident, Joseph started selling car parts. He would travel between St. Martin and St. Thomas to buy these parts and other goods to sell in St Martin. In time, his business trips became less frequent because he was able to buy enough material to stock for extended periods at his small shop in the church alley in Marigot. . It was around this period that Joseph William Rogers got the nickname “Yankee.” He was on his way to becoming a popular businessman. There are a lot of stories about how he got this name. I am not going to call any names about who told me any of these stories but I think some of it has to do with the fancy way of talking that he picked up in St. Thomas—probably while negotiating with American business people to buy goods to sell in St. Martin. On January 17, 1945, Joseph “Yankee” William Rogers married Charlesia Amanda Thomas, the niece of Miss Flavy. The young couple had six children: Charles “Remy,” Adolphe, Patricia, Deanna, Roy, and Joseph, Jr. Yankee was also the father of Antonio “Tony” Gumbs. Yankee is also survived by his brother Jean, sisters Claire and Angèle; 15 Grandchildren; 14 Great grandchildren; and many nieces, nephews, and cousins. The businesses that Yankee built as a St. Martin entrepreneur between 1944 and 2018, include an auto parts shop, car rental, boat rental, bar, pool and billiard room, liquor store at the Princess Juliana International Airport (SXM), hotel, and a hardware store. At every step of the way—from the excitement of a new opening, to the unfortunate fire that destroyed one of his shops in 1968, to challenges from bigger, wealthier competitors—Amanda was at Yankee’s side, not only as a loyal wife and beloved mother to the children but she was very much involved with the daily operations of a number of the businesses and kept a watchful eye on all of them. Over time, Yankee’s became what marketing executives call today a brand. It is a St. Martin brand that has long involved the children of this resourceful entrepreneur in the management of the businesses that carry the Yankee brand to this day. We cannot conclude without mentioning that Yankee was not only about business. He had hobbies, such as fishing and gardening. He was also an avid participant of the “gentleman sports,” cockfighting. leaders that had established themselves island-wide. Yankee’s co-awardees were Melford Hazel, James Fleming, Mme. Yvette Fleming, all legendary names in the St. Martin society. They were honored by the local business association in Marigot, A.D.I.C.A.S.M. The family of Joseph “Yankee” William Rogers thank God for the life he has lived. We pray that his soul will forever rest in peace. We will carry on his legacy. 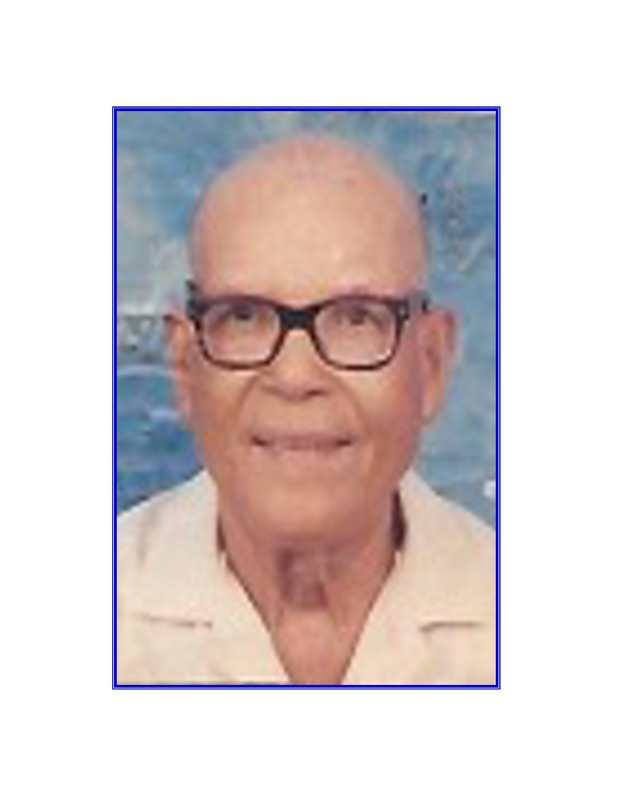 On behalf of the management and staff of StMaartenNews.com we extend our condolences to the family and friends of Mr. Joseph Rogers.